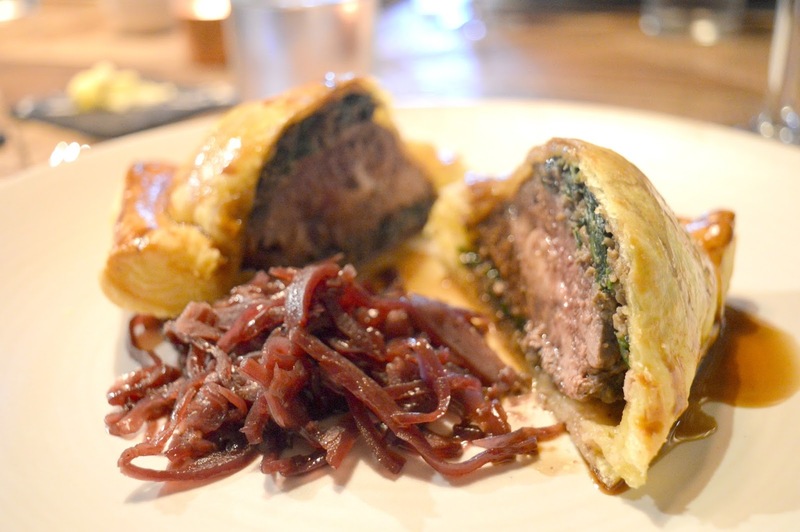 We discovered the Lord Crewe Arms a few weeks ago when we went to the Experimental Diner popup at the Newcastle Castle. 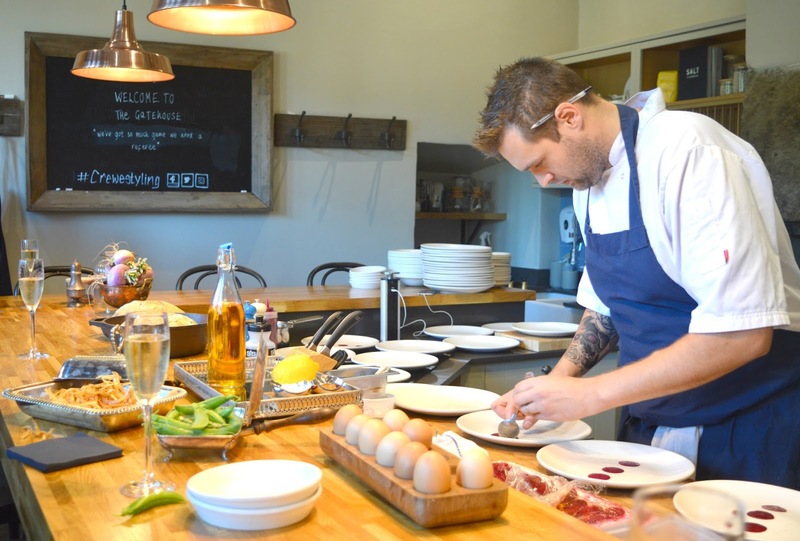 We had the most delicious meal cooked by the Lord Crewe Arms' Head Chef, Simon Hicks and we've been obsessed ever since. We have quite literally been telling anyone who will listen about how fabulous the food was and dreaming about attending one of the Crewe Supper Club events at the Gatehouse. So we were over the moon when we were invited to attend Game Night at the Gatehouse and quickly cleared our diary! 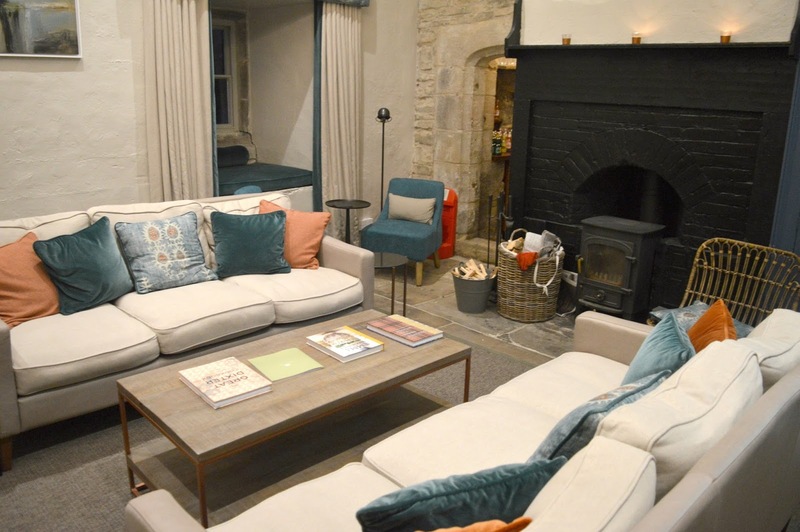 The Gatehouse at the Lord Crewe Arms is an a fifteenth century gatehouse transformed into a private dining room, demonstration kitchen and events space. The most beautiful haven for foodies, there's a full events diary of Supper Clubs, Lunch & Demos, Summer picnics and Garden BBQs. The night began with a welcome glass of champagne which we could either enjoy on a comfortable sofa by the fire or at a bar stool in the beautiful kitchen. We decided to pull up a stool and watch our host chef for the night, Jared, working on the first course of our meal. 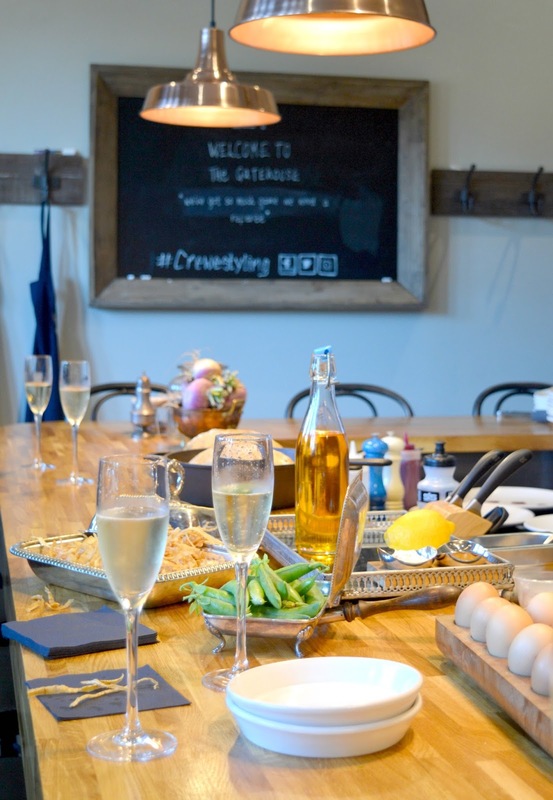 If you're big foodies like us, you'll love Supper Club at the Gatehouse as it gives you the rare opportunity to chat to the Chef and maybe pick up a few tips along the way! We were thrilled when we noticed another couple arrive who we'd met at the Experimental Diner event a few weeks earlier. Like us, they'd enjoyed the food at Newcastle Castle so much they were back for more! 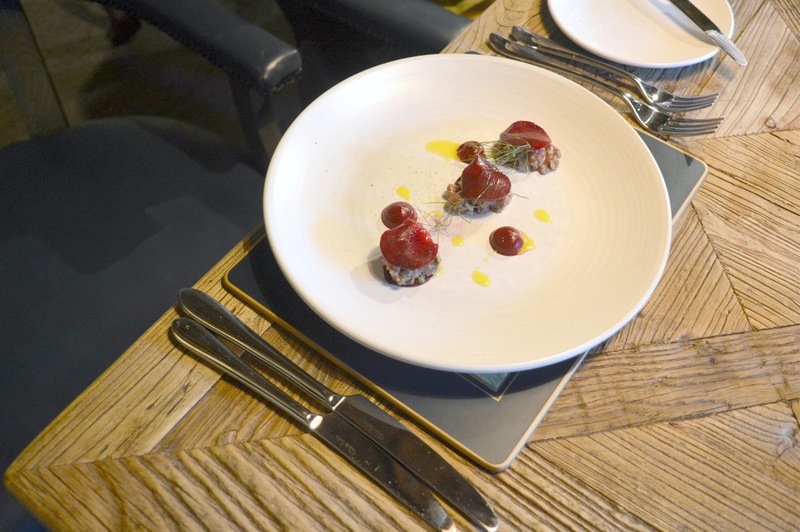 It seems that once you've tried the Lord Crewe Arms' food you never look back. Once all the guests had arrived and we'd enjoyed a couple of glasses of fizz it was time to make our way to the table ready to enjoy our evening of food. 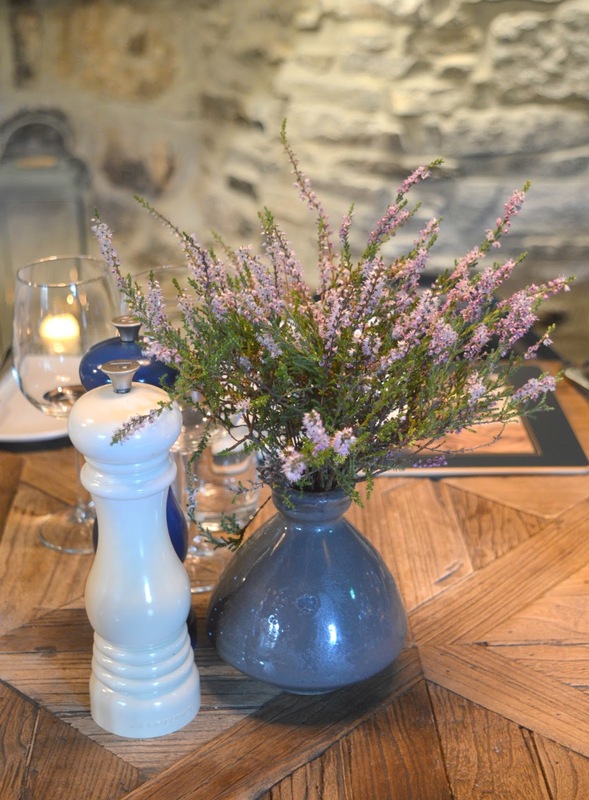 We were welcomed into the most beautiful room with a long wooden table covered in wild heather, plush leather chairs and a stunning stone fireplace. One of the things we enjoyed most about the Supper Club at the Gatehouse was the opportunity to meet new people. Introductions were quickly made and our evening was filled with happy chat, wonderful stories and, of course, plenty of food recommendations. Safe to say our diary is now full to the brim with loads of new ideas of places across the region to explore. We were excited to find we'd each been left a menu for the night and happily studied it as our wine glasses were filled. With the choice of white or red, our glasses were never left empty and we couldn't believe how many glasses were included with our meal! First course arrived, Venison Tartar and Pete's beets, it was a lovely light start to our meal and a great indication of what was to come! I love beetroot and it was the perfect flavour to compliment the venison. 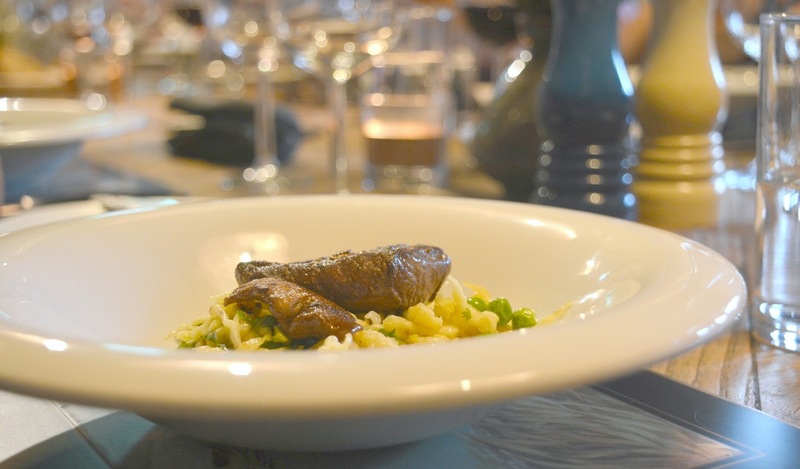 The real talking point of the meal was the next course, Pigeon Breast with Spatzle. After one mouthful we were all commenting how delicious the dish was, speculating where the pigeon had come from and desperately trying to eat it as slowly as possible to savour every last mouthful. My favourite dish of the night was the Grouse Welly and cabbage. My eyes were out on stalks at the portion size and having enjoyed the Lord Crewe Arms's pastry at the Experimental Diner event I knew we were in for a real treat. The grouse was so tender and packed with flavour and that pastry! Wow! I would quite happily just eat plate upon plate of it forever more. Hard to believe that we managed to fit in a sweet course after all that food but when a generous helping of Mrs Bell's Lemon Tart appeared in front of me I knew I would end up eating the entire dish. 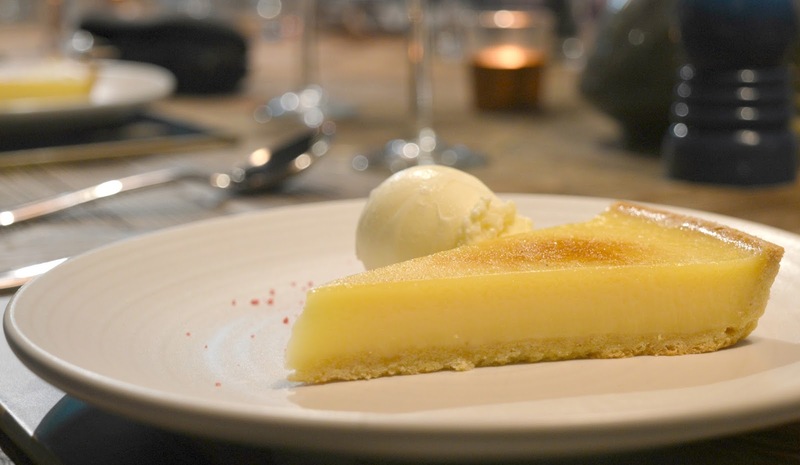 Beautifully zesty with yet more of that famous pastry, I was in absolute foodie heaven! I cleared my plate with not so much as a crumb left! With our meal finished we relaxed back in our chairs, secretly wishing we could undo top buttons and have a snooze. We decided to finish our night with coffee in the lounge area with our lovely new friends. We shared comfy sofas and talked about our delicious meal until we were struggling to keep our eyes open. That delicious food had finished us off and we all happily said our goodbyes more than ready for bed and delicious dreams of pastry and game! Game Night at the Gatehouse was everything that we'd hoped and more. We had a fantastic night with new friends, enjoyed delicious food and top quality service in the most beautiful surroundings. 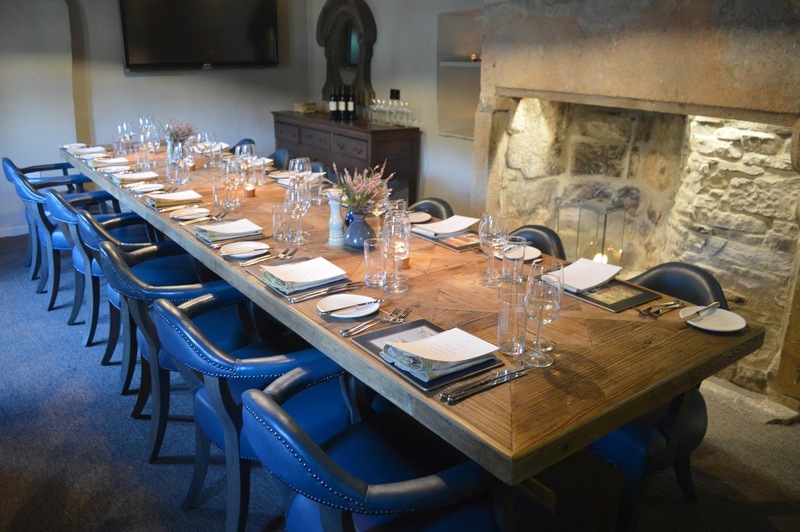 I honestly couldn't recommend the Supper Club at the Lord Crewe Arms enough, it's only a matter of time before we book ourselves in again because we've been talking about it ever since! Tickets to Game Night cost a very reasonable £45.00 per person which included welcome drinks, nibbles, a four course meal with wine and tea and coffee. To see what is coming up next and book your place at the Gatehouse check out their events diary here. We were lucky guests of the Gatehouse and were treated to a complimentary meal. All opinions are our own. That looks amazing - everything from the table decorations to the food is completely what I want in a dinner.